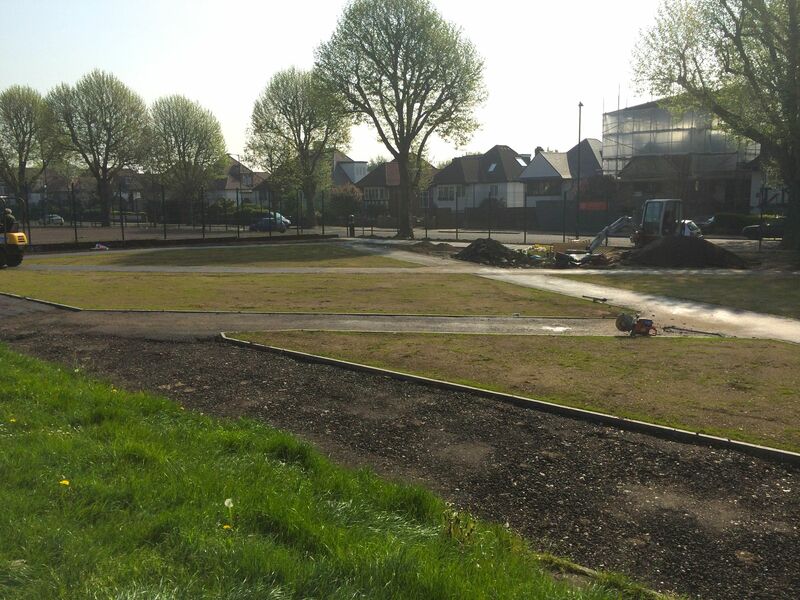 The cycle path area of Tiverton Green is taking shape. Grass seed was sewn in late April on the newly created lawns, and this week’s sunshine and rain have done their work and the first green shoots are showing. After all those years of broken asphalt it’s quite exciting to see green grass in its place. The cycle paths themselves are also slowly progressing, with the top layer in place in some areas. We have asked the council to check the camber is correct on the paths to prevent puddles collecting. Regarding the work on the other end of the tennis courts, we’ve heard this is unlikely to begin before July.